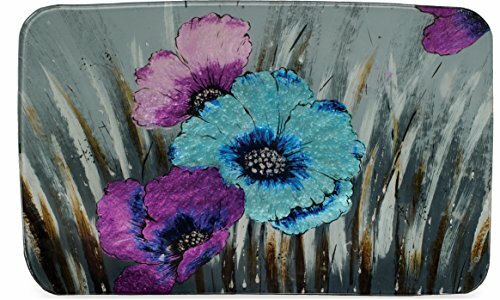 Vibrant blue and purple wild flowers dance with silver and gold wheat on this 16", rectangular plate. The flowers shimmer in the light, bringing a gorgeous summer night setting to your home. A perfect wall decoration, or a lovely dinner table centerpiece, this dish is a breathtaking addition to any home. Maintain the beautiful shine of the colors by hand washing with soap and warm water.